If you follow color trends, you may be aware that last week Pantone announced the 2012 color of the year: Tangerine Tango! 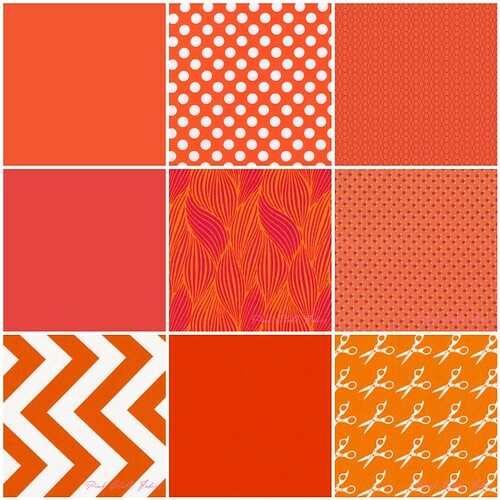 Personally, I am very into oranges and love it! But Erin wasn't sure about how well the color would translate into quilts and sewing. We smelled a challenge! Get ready! 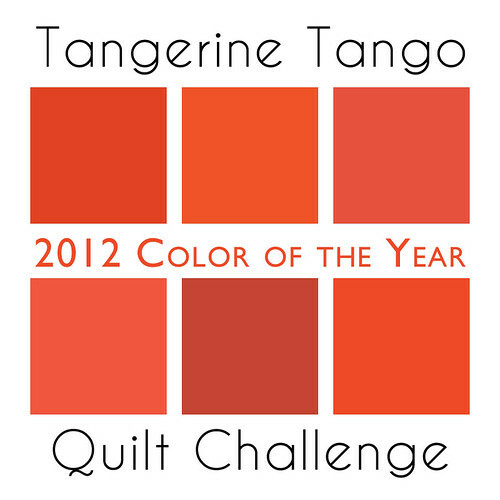 Starting in January, Erin and I will be hosting a Tangerine Tango Quilt Challenge. Check back for more details after the holidays and join our Flickr group to stay in the loop. There will be awesome prizes and great guest judges!! 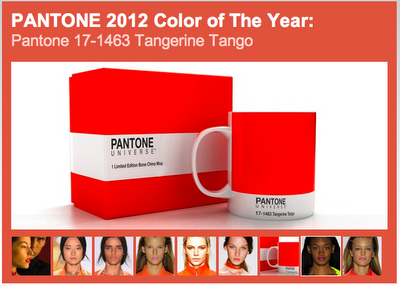 Wow, this is a zinger color for Pantone. I had not heard of their pick yet, so thanks for the info. I can imagine some great quilts will come of this. Michelle is going to be all over this challenge! Saw this and thought wow, that is one bright colour. Not sure I can handle it! Great idea for a challenge though! I'm going to give your challenge a try. I just bought Pezzy Prints and Half Moon Modern charm packs. Hopefully I can use them for it.